Many consumers are finding themselves buried under a pile of mounting debt. With interest accumulating month after month in addition to late fees being charged, many consumers are finding it difficult to make just the minimum payments on their credit cards. Although this may seem like an endless battle, with a strict budget and some discipline there are credit management strategies and solutions that will allow consumers to reduce or even eliminate their debt. Consumer credit counselingworks with consumers by placing them into a repayment plan. Interest rates, late fees and penalties are negotiated in this program and it could take up to 4-5 years to pay off. Similar to other credit management programs, this solution may not be suitable for everyone. Below is a list of pros and cons of this program. Weigh your options carefully before choosing what is best for your current situation. • The program places you into a monthly payment plan for an allotted time frame. Once you complete the program you are then debt free. • Generally, one payment is made to the credit management counselor, instead of having to make multiple payments to several different credit card companies. Organization tends to be a problem for a lot of consumers who have to keep up to date with multiple credit cards. The counseling program allows them to make one payment to the counselor and the credit counseling company manages all the accounts and makes payments to the creditors on your behalf. • If you have been late multiple times on your payment, your interest rate may be as high as 20%. 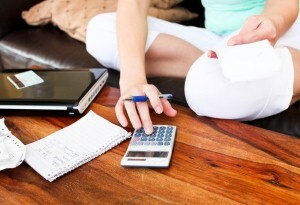 Creditors are more likely to lower your interest rates knowing that you are in some form of credit management program. • You may find that the minimum payment required to complete the program is too high. Since, the credit counseling program focuses on the reduction of interest rates and not the reduction of principle balances, you may find that the program isn’t aggressive enough for your situation. If this is the case, you may want to consider a debt settlement program where your actual principle balance is negotiated. • For some, the length of the program may be too long for certain financial situations. When in a credit management program, if the payment is missed there is a chance that the creditor will increase interest rates or reinstate penalty fees. So, if you are unable to make a payment due to a financial hardship, the interest rates and penalty fees may be reinstated. • Debt is noted on the credit report as “not being paid as agreed”. Although, this notation is not supposed to impact your actual credit score, it may prevent you from getting approved for a new credit card or mortgage. Most lenders and creditors frown upon such marks on your score caused by such a credit management program. • Creditors who agree to lower or stop charging you interest, may place “freezes” on your accounts even though you have been current on your payments even before starting the credit counseling program. This will prevent you from using your credit cards once you are in the program. • The credit management program does make a mark on your credit report. The creditors that are paid off through this program are notated on the report as ‘Customer in CCS.’ This notation on your credit report is not supposed to impact your score, however, it may play a role in whether or not the person who is offering you credit will do so, with such a mark on your credit report. • If you are trying to obtain a mortgage, this may prevent you from getting approved. Most lenders frown upon such marks on your score. More aggressive than consumer credit counseling, debt settlement programs work on reducing the actual principle balance of the debt, and can provide a constructive alternative to credit management. Trained negotiators work with credit card lenders to reduce the total amount owed on each card, which differs from consumer credit counseling where only the interest rates and late fees are reduced. A debt settlement program places consumers into a payment plan that fits their budget. These affordable payments are often as low as half of their combined current payments. Although debt settlement has a short-term negative impact on credit, this aggressive program tackles the debt in about 124-48 months.